Since the 2019 Super Bowl is hosted by CBS and not NBC, this post isn’t accurate for this year’s game. If you’re interested, check out our guide on how to watch the 2019 Super Bowl without cable to learn how to watch it on CBS. It’s now official. Super Bowl LII will feature the New England Patriots against the Philadelphia Eagles on Sunday February 4th at 6:30 PM EST! 1/22/18 EDIT: NBC has announced its intention to stream the 2018 Super Bowl for free. Jump to the NBC App section to find out how. 1/31/18 EDIT: With only a few days left, your options for acquiring the proper hardware to stream the Super Bowl without cable are limited. If you don’t already have a Roku, Apple TV, or other streaming device you might have to pick one up in the store. You can get a Roku at Walmart or BestBuy and pick it up to make sure you get it on time. If you’re feeling dangerous, you can also buy your streaming device on Amazon or Walmart.com and hope the 2-day shipping holds true to its name. Sports is one of the main reasons many people don’t cut cable. Who can really blame them for not wanting to miss out on their team’s games? What most people don’t realize is that it’s actually pretty easy to stream sports without cable, especially big events like the Super Bowl. 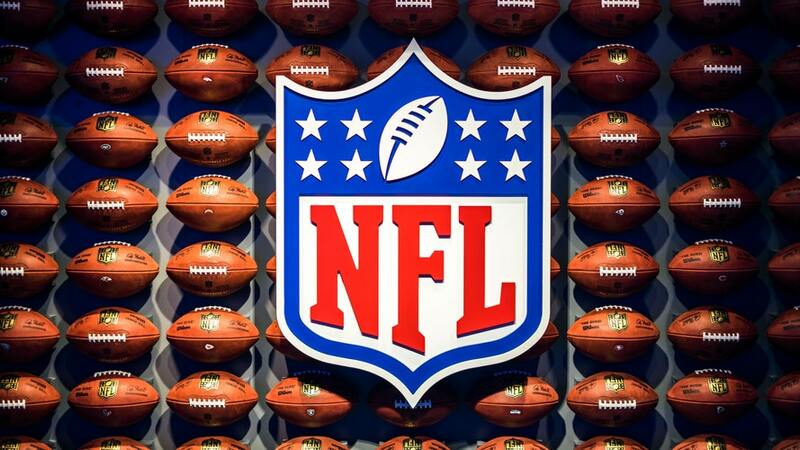 The Super Bowl is one of the most viewed televised events in the country, not just in terms of sporting events. This article will show you a few different ways to stream the Super Bowl without cable in 2018 so that you can focus on cheering on your team without the burden of a cable bill. What channel is the 2018 Super Bowl on? NBC is actually one of the easier channels to stream when you’re cableless. It’s a major TV network that can be picked up over-the-air and is also available in many of the major streaming platforms. Since the Super Bowl sells so much premium ad space, NBC really wants you to watch the game. To make that even easier for you, many of the subscription only streaming platforms stream the superbowl for free to non subscribers. Take a look at the different options below and choose the best one for you. Sling TV is a streaming service with different packages and add-ons making cable as close to al la carte as you’re going to get. They label their packages by colors for some reason and NBC is included in their Blue package. Typically, Sling Blue costs $25 a month and gives you access to 45 total channels including some local networks. However, they also offer a 7 day free trial. Since the Super Bowl is only one day, if you line up your 7 day free trial with February 4th, 2018 you should have no problem watching the Super Bowl. We’d recommend making sure to give yourself at least a couple of those 7 days to set up the service and make sure you have no issues before the big game though. It’s a fairly straight forward set up and user interface, but it’s always better to be safe than sorry. The banner below will bring to to Sling’s free trial page. After you sign up for your free trial, you’ll also gain access to 44 other channels and the ability to add on some premium ones. Our Sling TV guide will outline the different packages and show the channels it has to offer in more detail. The picture below is an example of Sling Blue’s channel line up and includes local channels for Massachusetts. 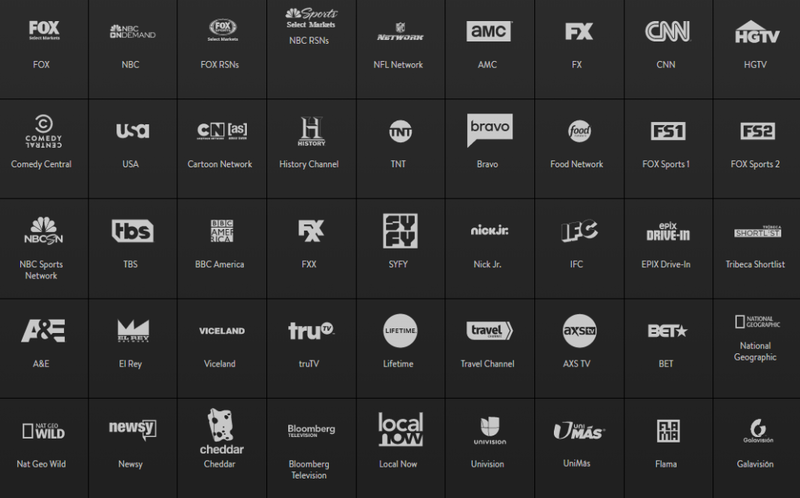 You can find local channels that you would get with a Sling TV subscription on Sling’s channel line-up page. If you decide to watch the Super Bowl with Sling TV, you’ll need to make sure you have the appropriate hardware. Whenever we recommend hardware to someone for streaming, we usually suggest a Roku. They are a huge player in streaming hardware and are known for their low costing devices that constantly deliver a simple and reliable platform. There are a few different versions of the device that range from $29.99-$89.99. 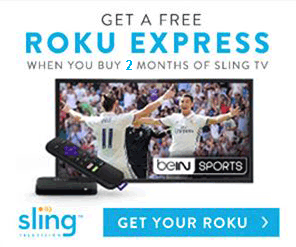 Unlike Sling TV or other streaming services, the cost a Roku is a one time deal. It’s basically a small computer that plugs into your TV and lets you run Netflix, Hulu, Sling, and dozens of other services. It makes older TVs smart and Smart TVs smarter. 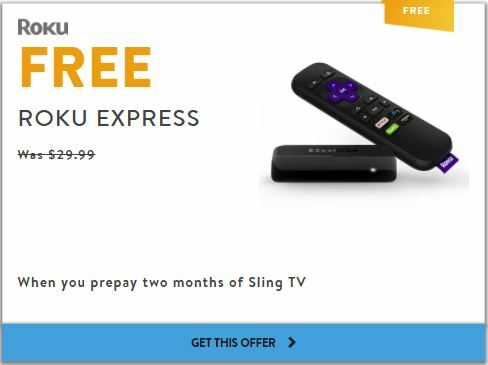 If you think you’d enjoy having access to Sling TV when the Super Bowl is over, you can make use of their free Roku offer and save some money. If you’d prefer not to use Roku or have any of the following devices, you can use them without a problem. Keep in mind that not every device on this list streams directly to your television. Some, like Android OS or Windows, require you to have an additional device to cast your phone or computer to your TV. Google Chromecast for example doesn’t have the ability to stream Sling TV independently. You need to connect a phone or computer to it and mirror the screen to your TV. For simplicity sake we recommend the Roku, but if you’re interested in continuing to stream content after the Super Bowl, you might want to look into some of the other options. If you’re looking to cut cable, an antenna is a great option. We wrote up a big guide on how to get free cable TV that goes into the nitty gritty about antenna options. The long story short is that based on your location you can pick up major network signals through an antenna for free. It’s 100% legal and the picture quality is typically better than you’d get with cable. You may be picturing a giant roof mounted antenna, but with advances in technology some are indoor and are easily hidden. To quickly check if you can use an indoor antenna, head over to TVFool.com. Fill out the information and look at the chart that it provides. If NBC is in a green box it means that the tower that transmits the signal is close to you. 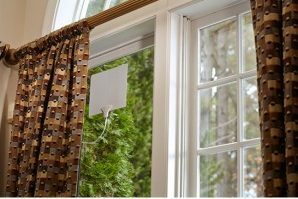 A low-cost indoor antenna should be more than enough to pick it up as well as a dozen or so other channels. Most indoor antennas will be able to pick up a green TV fool channel, but if you want some direction on picking a good one, be sure to check out our indoor antenna buying guide. We recommend trying out an antenna if any of the over-the-air channels interest you. After a small initial investment, antennas are hands down the best way to get TV channels. Most things in life aren’t free, but we should take advantage of those that are. NBC has formally announced its plan to stream the 2018 Super Bowl on its apps for free. This makes it hands down the best option for free ways to watch. You can use the NBC Sports App on your android or iOS device and won’t be prompted to log in during the Super Bowl. Typically, you must enter a username and password for your cable subscription (or alternate provider like Sling TV), but NBC has removed that requirement for the big game. Unless you want to have everyone at your Super Bowl party crowd around your cellphone screen, you’re going to need some additional hardware to play the game on your TV. If you already have a smart TV that allows screen mirroring, make sure you test it out to make sure it’ll be ready for Sunday. If not, you still have plenty of options. You can use a Google Chromecast to cast the game to your TV from your cellphone or tablet. Some other pieces of hardware that can download the NBCSports app and run it themselves are the Apple TV, Amazon Fire Devices, Roku, XBox and some smart TVs. 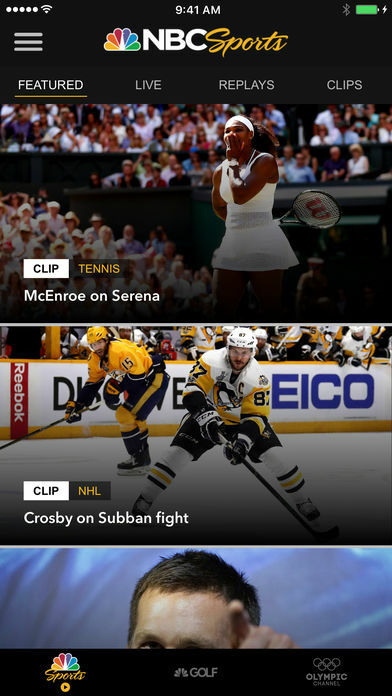 You can also stream it through a regular internet browser at NBCSports.com and connect the computer directly to the TV through an HDMI cable. Whichever device you decide on, make sure that you order it in time or plan to pick it up in the store before Sunday. It doesn’t do you any good to know you can stream the Super Bowl without cable for free if you can’t actually watch it. We’ll continue to update this guide as more information comes out about the availability of the Super Bowl 2018 without cable. If NBC or other platforms announce that it will be streamed for free, we’ll make sure to include it. Subscribe to our mailing list or follow one of our social networks to stay updated.